As the summer winds to an end, I’m looking forward to a fantastic fall for Fantasy Magazine. On September 1st, we’ll re-open to submissions, and we’ve battened down the hatches in readiness for the deluge! If you’re a writer with a story poised and ready, remember to use our new online submissions system, which will be linked to on the submissions guideline page, to submit your story. In September we’ll emphasizing games – look for daily reviews and commentary focusing on games of all sorts: RPGs, board games, video games, and even paintball for a wide range of writers, both old and new to the magazine. 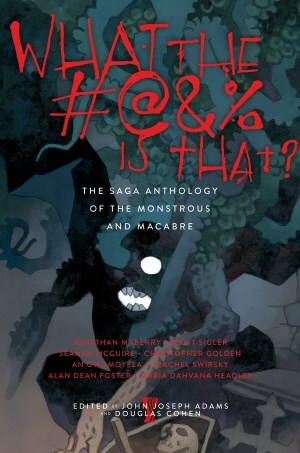 At the same time, you’ll see more comics commentary, as well as a continued emphasis on the fantasy fiction and reviews that have always appeared – along with reviews in areas we haven’t covered before, such as audio fiction. Midway through September, we’ll be unveiling the latest version of our website! Look for new features, including a web comic, geek gastronomy, authors talking about their work, and more — along with a continued emphasis on finding the most interesting news and thoughts on fantasy. Upcoming fiction includes some of the most prominent names in the field of speculative fiction, such as Nancy Kress and Tanith Lee, along with some of the best new voices around. Podcasts will be a frequent feature, and I’m hoping to see some videocasts as well. Editor Rae Bryant has another microfiction contest up her sleeve, so prepare yourself for that. I’ve got a few things prepared as well, including content on folklore, literary fantasy, and the game stores of our youth. All sorts of good stuff! If you’re interested in writing, reading, editing, or otherwise helping with the production of the magazine, please drop me a line at rambo@fantasy-magazine.com. Fantasy Magazine's Micro-Fiction Contest: And the Winners are . . .